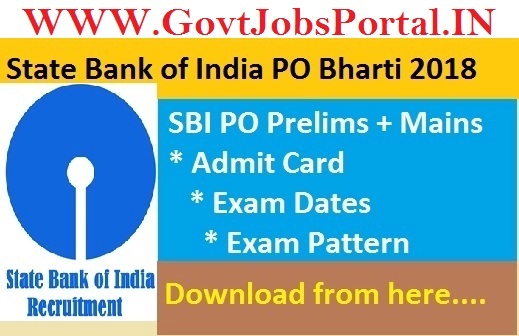 Today on 19th June 2018 early morning SBI official website post a new link related to the Admit cards for SBI PO Examination. Those who applied for SBI PO Examination 2018 can now download their call letter for the SBI PO Pre-Examination 2018. You need your Registration Number/Roll No. and Password /Date of Birth to download your respective admit cards for SBI PO Pre Exam 2018. Below we share the Direct link which will transfer you to the link from which you can easily download your admit card by entering required information. 01, 07, 08th July 2018 is the Pre-Exam date.